Pony Club and family ponies may be kept at livery or at home. They may be required to live out in all seasons and they may only be ridden intermittently, especially in the winter when the days are short. Often these ponies may be kept in suboptimal conditions where pastures they are grazing has become tired (“horse sick”) or there are large numbers of ponies competing for food. Many ponies are not shod or because they may live out in wet or excessively dry ground conditions they may have poor quality hooves. Some ponies may be very excitable and fresh especially if only ridden intermittently. Pony club ponies are frequently older and are of great value because they have done it all and they are an excellent mount to establish and build a child’s confidence. Unfortunately, because many ponies are older and often over weight, they may be prone to the development of laminitis or have equine metabolic syndrome (formerly Cushing’s disease) and consequently only be allowed restricted access to grass to limit carbohydrate intake. Older ponies are susceptible to all the conditions associated with age, such as poor dentition and a reduced capacity of the intestine to absorb nutrients. In addition, arthritis/restricted mobility are common. Depending on the age and activity level of the leisure of pony, there are several ways in which dietary modification and the use of nutritional supplements can support a good health and performance. Nutrients that may be lacking in poor quality forage include energy and protein, minerals and vitamins. Drying and storage of hay reduces the content of many vitamins. Ponies on restricted grass intake may benefit from supplementation with the water soluble vitamins including, vitamins A, the B vitamins and minerals zinc, copper cobalt and selenium. 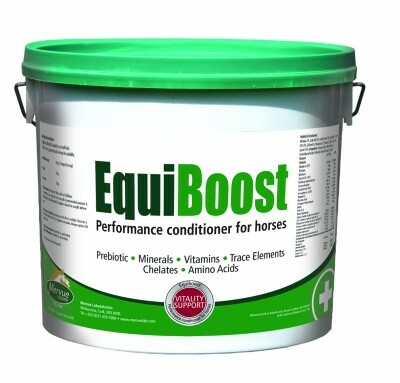 EQUIBOOST is a powder containing 26 different vitamins and minerals as well as a prebiotic (FOS), omega 3 oil and amino acids. Fructo- oligosaccharides (FOS) are prebiotics which essentially provide a nutrient source for the good bacterial microflora in the intestine and help to maintain a healthy intestinal microflora which in turn promotes healthy digestion and nutrient utilisation. EQUIBOOST contains flax oil which is rich in α -linoleic acid, ALA (an omega n-3 fatty acid). ALA is found in large amounts in fresh grass and has been shown to positively influence the immune response in horses. Ponies with limited access to fresh grass may benefit from flax seed supplementation. ALA is converted to docosahexaenoic acid (DHA) in the body which is then incorporated into muscle and other tissues and has been demonstrated to improve the inflammatory status and reduce pain and inflammation in humans. 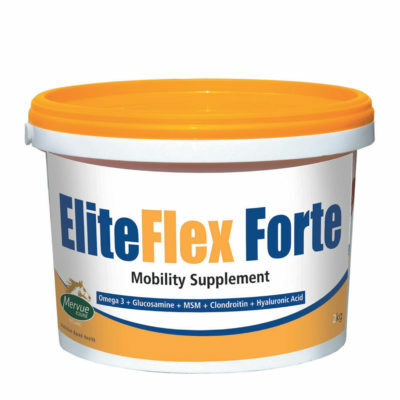 Supplementation with n-3 fatty acids in ponies may help manage chronic inflammatory conditions such as osteoarthritis, equine metabolic syndrome, laminitis and thereby help to improve longevity and quality of life of the pony. Given the busy life of children with school and extracurricular activities, ponoies may only be ridden intermittently, for example just at weekends. Some ponies may be fresh or excitable when ridden infrequently and it is helpful to be able to reduce excitement. brain where it is converted to serotonin. Serotonin has an anti-anxiety effect. The effect of tryptophan on ponies is variable between ponies but in some animals a single dose was shown to reduce increases in heart rate and cortisol (the stress hormone) following a startle. 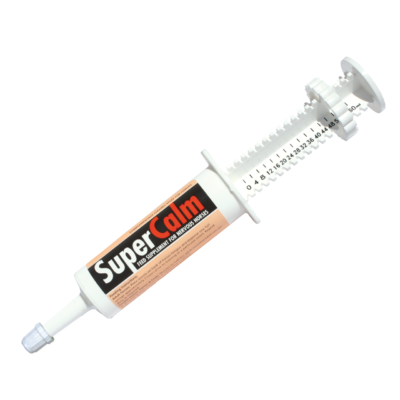 During muscle contraction and nerve stimulus and excitation calcium enters the nerve and muscle cells, magnesium then pushes the calcium out of the cell and the muscle relaxes and the nerve impulse subsides. If there is insufficient magnesium, nerves may remain in their excited state. Horses supplemented with magnesium showed a trended towards decreased responsiveness to a moving object. 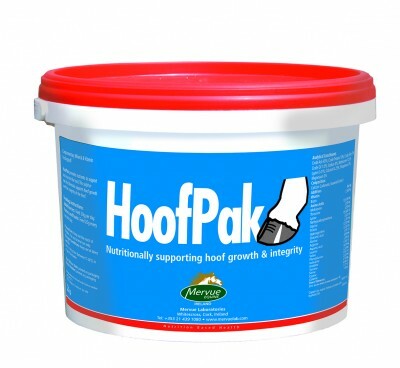 It has been well established that malnourishment negatively impacts equine hoof wall quality and that hoof wall quality varies with age and season. The hoof wall is composed of approximately 90% protein. Keratin is the predominant component of hoof wall and gives the hoof wall its hardness, cysteine is an amino acid which is predominantly found in the link that connect the keratin tubules to one another. Keratinisation refers to the process by which the soft cells at the coronary band are replaced with keratin to form the hard hoof wall. Nutrients required for normal keratinisation and good hoof horn quality are amino acids, especially sulphur-containing amino acids such as cysteine or methionine. The strength of the hoof has also been demonstrated to be positively associated with the sulphur content of the hoof. Biotin is a vitamin of crucial significance in the development of the horny tissue and positively affects its compactness and integrity. Minerals and especially trace elements, zinc and copper and vitamins like biotin are important for the normal keratinisation of the hoof wall. 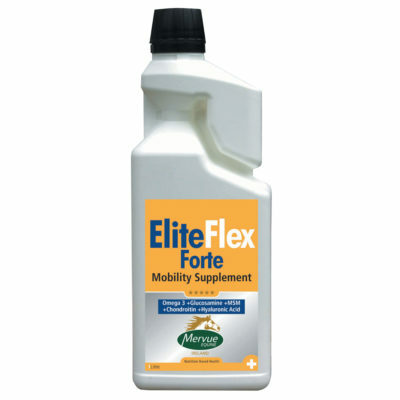 Unfortunately, a significant number of ponies experience laminitis during their life and these animals may benefit from supplementation with HOOF PAK. Many ponies now have very good quality lives in their senior years thanks to the improvement in the diagnosis and management of old age diseases and specifically laminitis and equine metabolic syndrome. Many Pony Club ponies are aged however managing inflammation and pain and reducing further inflammation and pain allows these ponies to maintain an excellent quality of life and pain free mobility, often well into their 20s.